The creation of a universal Paid Family Medical Leave system in Vermont would give security to workers who require time off to recover from an illness or welcome a new child, and to businesses who rely on qualified and experienced employees. This is a common-sense business-friendly solution that will strengthen our local labor force. Universal Paid Family Medical Leave helps employers by providing predictable employment conditions, and is a critical tool for recruiting and retaining high-quality workers of all ages. In states that have passed Universal Paid Family Medical Leave, studies show a decrease in both employee turnover rates and average per worker payroll expenses. In 2018 Vermont Businesses for Social Responsibility (VBSR) conducted a Membership Survey where 36.59% of respondents reported offering paid family leave benefits – for comparison, 41% contribute to the cost of employee’s health insurance. Unsurprisingly, only 13% reported challenges with employee retention. VBSR Member business SunCommon has had a Paid Family Leave benefit since the company was founded 7 years ago. “SunCommon’s family leave helps our moms and dads be with their new kids, and then come back ready to work. We hear a lot from our young workforce how important this is to them. I’m sure that families across Vermont will be stronger when this is available to employees wherever they work,” said Duane Peterson, Co-Founder of SunCommon and member of the VBSR Board of Directors. Kristin DeDiana, Solar Sight Evaluation Coordinator at SunCommon, had the occasion to take leave after the birth of her second child. At the time, DeDiana was a part-time employee and was unsure of her eligibility for the benefit and worried how news of her growing family would be received at work. DeDiana says that the response from her manager and the HR team at SunCommon was “overwhelmingly positive.” She was able to take 4 weeks of paid leave, and an additional 20 weeks of unpaid leave, with the assurance that her job would be available when she was ready to return to work. For her family, the paid time off was critical. It is SunCommon’s policy to provide full-time employees 4 weeks of paid leave on top of accrued paid time off, and new mothers are eligible for additional short-term leave insurance provided at no cost to the employee. This is typical to what other VBSR member businesses offer; other companies’ Family Medical Leave policies include part-time, remote or job-sharing arrangements designed to help employees on-ramp gradually after taking a break. Workers across every industry and earning group benefit from Paid Family Medical Leave, however, it is especially effective in retaining high earning workers in the local labor force. 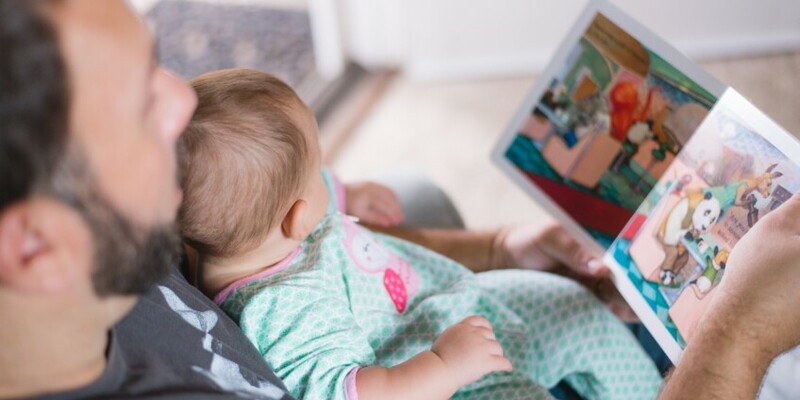 SunCommon reports that with near gender parity in their workforce, 6 mothers and 15 fathers have taken paid leave to care for a total of 25 new children since the company was founded. All but one employee has returned to work with SunCommon. It is important that any statewide Paid Family Medical Leave system be equitable and inclusive – this is an essential benefit for workers of all ages, every gender, and across every industry. In the U.S., unpaid leave is one of the primary contributors to the gender wage gap; today the commonly used figure to describe the gender wage ratio is that a woman earns 80 cents for every dollar earned by a man. A study by the Institute for Women’s Policy Research released in 2018 reveals that “43% of today’s women workers had at least one year with no earnings, nearly twice the rate of men,” and that “For those who took just one year off from work, women’s annual earnings were 39% lower than women who worked all 15 years between 2001 and 2015.” Making Paid Family Medical Leave accessible to all working Vermonters would increase female labor force participation and improve family household incomes, not only for the duration of the leave, but for a lifetime. Another virtue of universal Paid Family Medical Leave is improved capacity in Vermont’s strained early childcare system; a serious concern for many growing businesses who are seeing increased absenteeism and losing key employees who lack access to quality, reliable child care. Let’s Grow Kids estimates that 77% of Vermont’s infants and toddlers likely to need care do not have access. With this universal benefit, co-parenting partners could take consecutive benefit claims to welcome a new child through birth, adoption or fostering, which would decrease the number of infant and toddler spots required to support our state’s workforce. VBSR, on behalf of our members like SunCommon, urges the legislature to pass H.107, which would establish a universal and mandatory system for Paid Family Medical Leave in Vermont – to the benefit of our businesses, workers, and the communities in which they live and work.